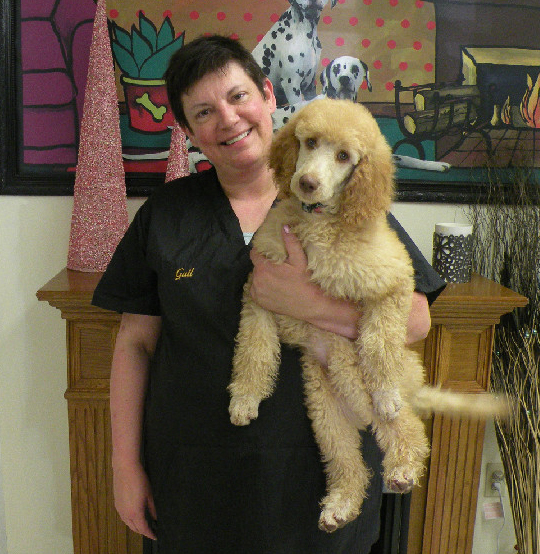 Karla Schwarz owns and operates a full-service pet care facility for dogs and cats. Along with her daughter Payton, and the assistance of a well trained Staff of Animal lovers. Karla has taken pet care to a whole new level. Karla’s motto is “kindness comes from the heart” when it comes to animal care. She has been providing loving care and outstanding services to dogs, cats and their owners for over thirty five years. 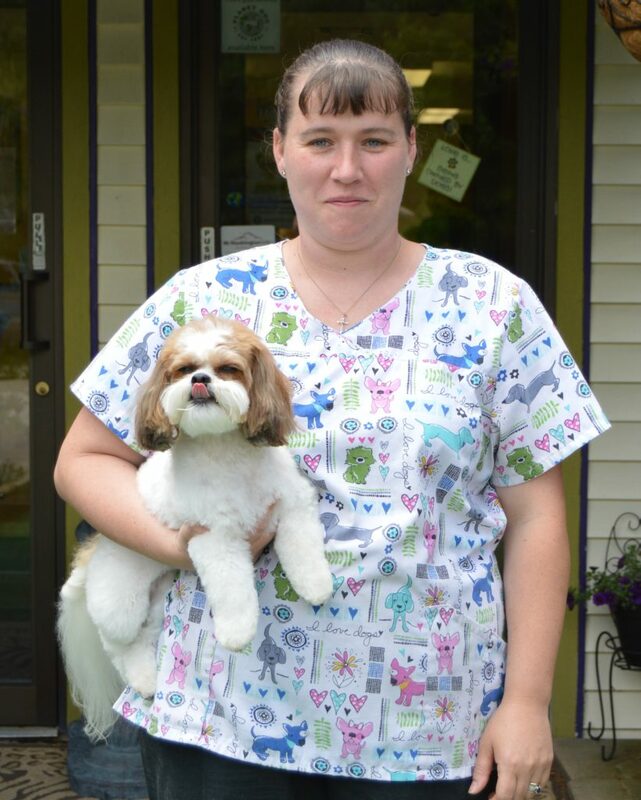 Karla is truly the original pet care professional in the Mount Washington Valley and withstood the test of time. “Caring for Valley Pets for over 35 years” Maintaining integrity and high standards in pet care for over 35 years. 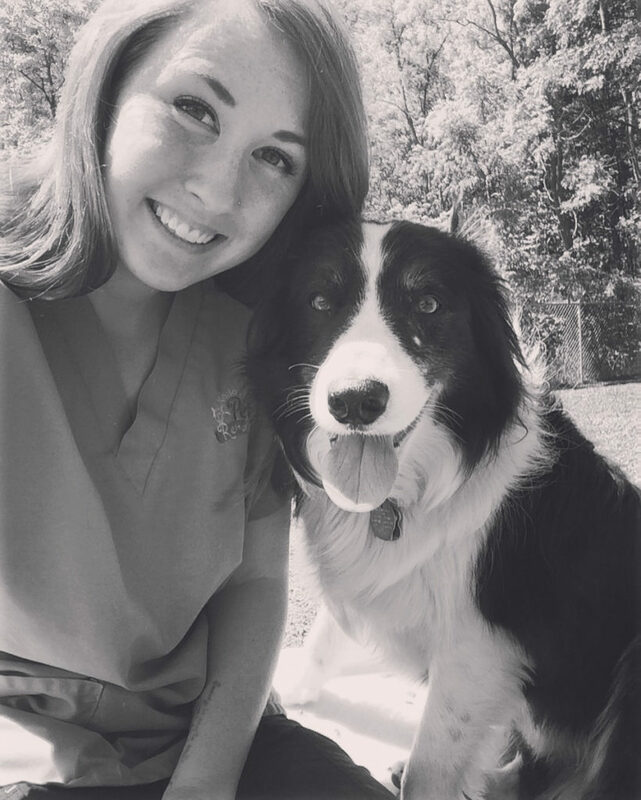 Growing up in the family business of her mom’s grooming and pet care services, it was clear to Payton from a very young age that she was meant to pursue a career of her own in pet care. 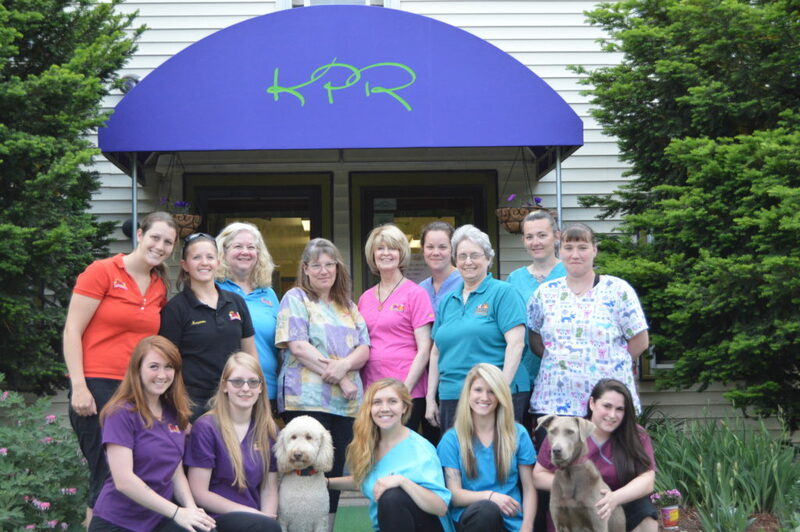 In 2008, Karla’s re-opened with the strategic vision of Karla and Payton working together to serve the Mount Washington Valley’s pet owners with a full-scale pet resort. After attending Saint Josephs College, Payton graduated from their honorary program in Business Management. Instead of taking the full 4 years, Payton fast tracked her education and completed the program in only 3 years in order to assist the business. Payton also assists her mom with their breeding program in the raising of doodle and poodle puppies, ensuring they get adequate socialization and begin their upbringing in a comfortable home setting. Outside of the business, Payton enjoys spending time with her husband, Aaron, her baby, Kyler, and three dogs of their own. Payton is PetTech and Pet CPR certified. After teaching Junior High for 25 years in Ohio, I decided that I much preferred working with 4-footed kids rather than 2-footed kids. I moved to an island in the Puget Sound in Washington state, where I worked at a boarding facility for nearly 10 years. Several years ago I moved to Maine and was fortunate to find a position at Karla’s Pet Rendezvous. I began as a pet care technician and have since moved up to the front desk and general manager. My personal experience of being owned by a pet began with a Newfoundland, followed by four Leonbergers. They are all waiting at the rainbow bridge now so I have lots of love to share with your four-legged family members. 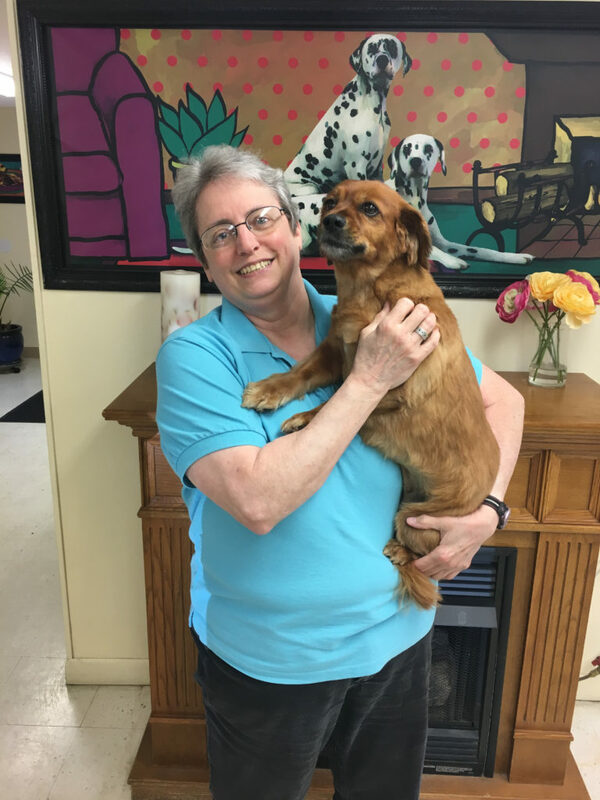 Wendy has been a dog trainer for 10 years after getting her certification through Animal Behavior and Training Association (ABTA). 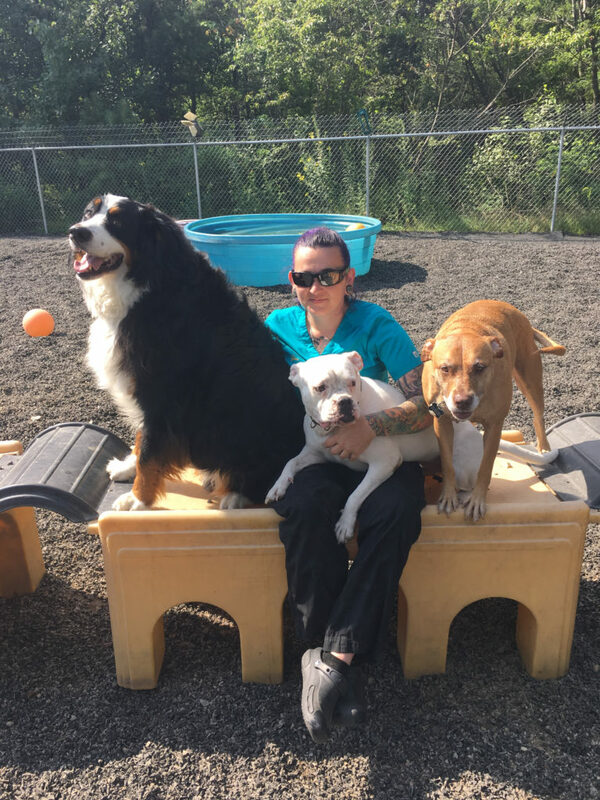 She worked at Petco as a dog trainer for 9 years, training group classes in Southern NH and mentoring new Petco dog trainers. 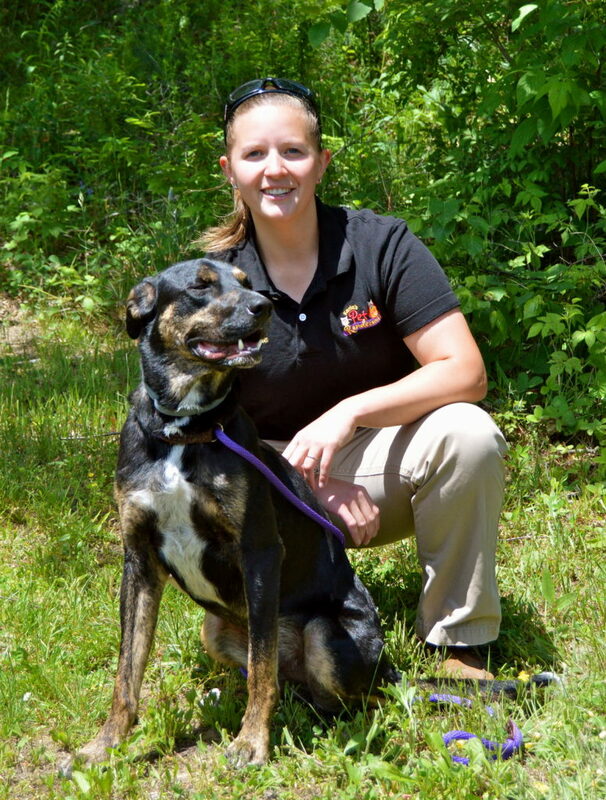 The ARL of NH has also benefited from her training as she mentors apprentice trainers from Animal Behavior College at both their Southern and Northern locations. Wendy’s first Dalmatian, Buddy, was born deaf. The challenge of training him was the reason she became a dog trainer. He was trained with positive reinforcement and ended up being Wendy’s demo dog for 5 years until he had to be retired due to a back problem. 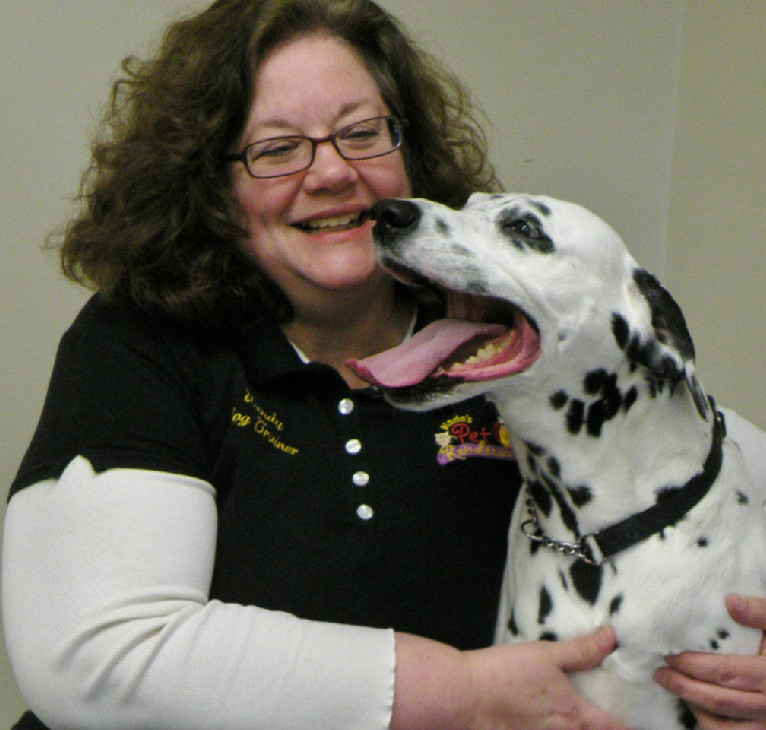 Wendy and her current Dalmatian, 9 year old Jezebel, who was adopted from the ARL of NH – South in 2005 love to do Canine Musical Freestyle. Both Wendy and Jez enjoy learning new things, so they are working on some K9 Dressage and would love to start Rally-O. to learn whatever she can related to dog behavior and share it with her students. Wendy holding a doodle puppy named Bear after a temperament testing. A litter of labradoodles were leaving on this day with their new families. 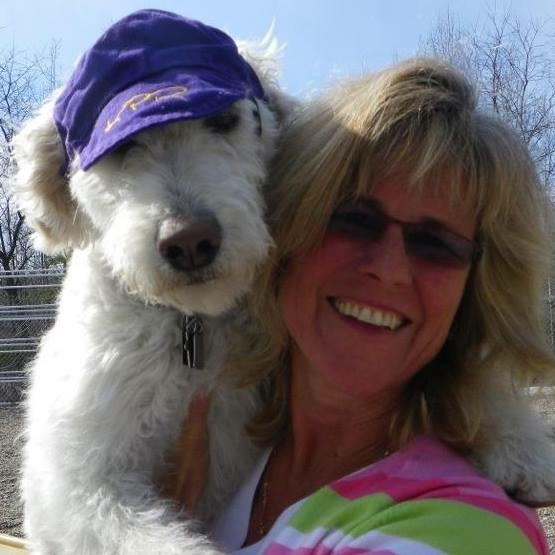 Wendy is a balanced trainer who uses positive reinforcement (food, toys, praise) to train both dogs and humans. She enjoys the challenge of finding out exactly what motivates both the dogs and humans and then has fun teaching them all she can. Click here for our training services! My career with pets started at the tender age of 14 when I began summers working at what is now known as Harvest Hills Animal Shelter. I cleaned, feed and handled pony maintenance as well as assisted with animal control. My next adventure was helping a Collie breeder/show person when I was in high school. Grooming and showing became my passion. After taking several years off, I moved out of state. I soon realized I couldn’t leave this field for long, so I came back to Maine and worked at Karla’s Grooming and Village Kennels when it was located in Ctr. Conway, N.H. I was employed there for a year before going out on my own. My new business allowed me to really fine tune the grooming basics and the skills of managing a pet boarding, training and grooming facility. After 7 years in business I moved on to work at a veterinary hospital for 8 years. Taking 7 years off to explore new and interesting employment ventures I missed working with the public and pets and returned to my first love, grooming, at Karla’s Pet Rendezvous. No one could ask for a more fulfilling career. This is truly where I belong. Click here to learn more about our grooming services! Kelly has been involved with animals since she was very young, as her mom was a groomer and a trainer. In her early teens she started helping her mom with bathing and by the age of 18, she was grooming on her own. She recently moved here form CT where she had a farm with chickens, sheep, goats, a pony, a donkey and rabbits. 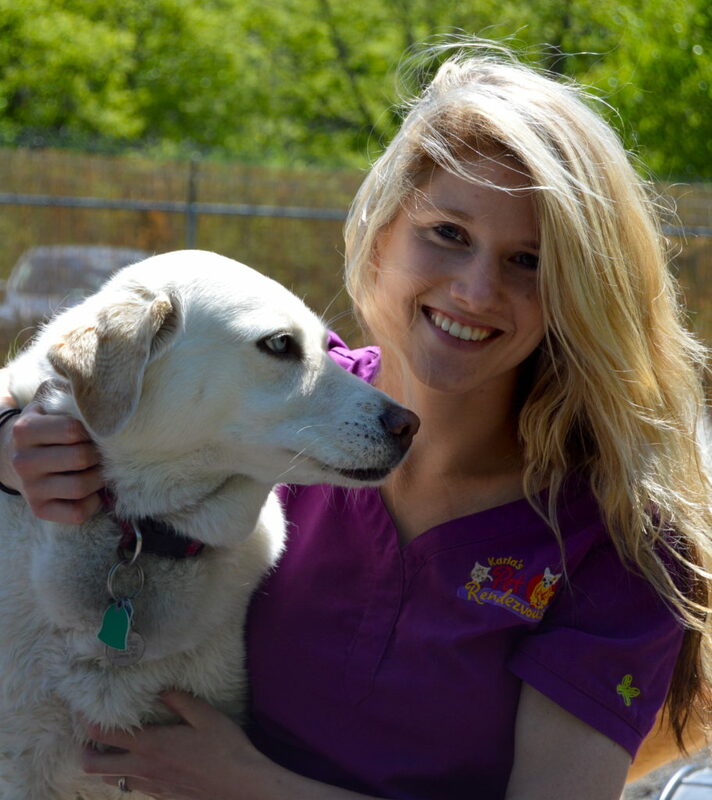 While in CT she taught grooming school and became a certified vet assistant and certified in Pet CPR. She enjoys working with senior dogs as well as special needs dogs. I have lived with animals all my life. At age three our family got a cat that ended up being with us for 19 years! Over the last few years we have expanded our family with horses, dogs, birds, and our brand new addition, a bearded dragon. Before coming to KPR I worked at a local pet supply store for just under four years. I can answer all your nutrition and product questions! I look forward to caring for your furry kids while they stay here with us at KPR! 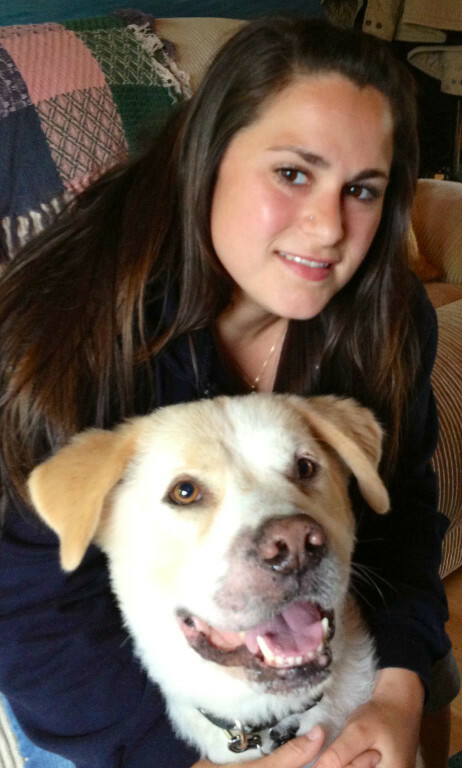 Morganne came to KPR with a diverse skillset, and an aptitude for understanding the dogs. She grew up with her family’s rottweilers, considering them her best friends and the ultimate playmates. To this day, she contributes much of her ability of understanding dog behavior, to her experience with such dogs from a very young age. She currently is the proud owner of a Chesapeake Bay retriever, named Thor, and Chowder, a Border collie mix. Her background in business administration and learning behavior has transitioned effectively to her skills as a new dog trainer. Her approach is neutral and confident, emphasizing balance, through use of positive reinforcement techniques in combination with “rules, boundaries, and limitations”. Being a life-long learner herself, she appreciates the need for education to be fun and rewarding. Through patience, persistence, and perseverance, Morganne believes the opportunities are boundless for the learning dog-handler relationship! 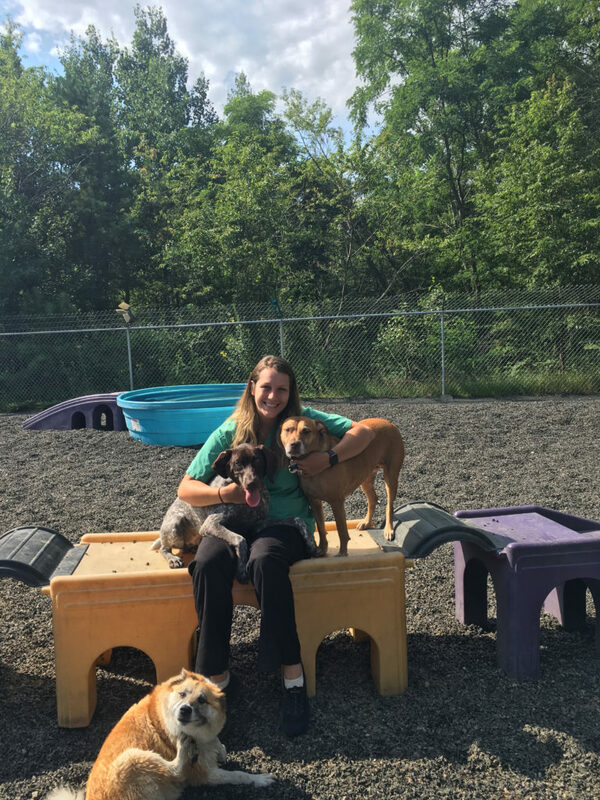 Prior to her return to the New England area, Sara had the opportunity to spend some time in Northern Virginia, where she worked as a supervisor at a large, upscale pet resort serving the DC Metropolitan area. When in pursuit of a similar career back in her home state of New Hampshire, Sara became an ideal fit for working at Karla’s Pet Rendezvous. Preceding her work experience in the pet care industry, Sara was an avid horseback rider, artist, and caretaker of her own family pets, including two poodle-mixes. Growing up, she was fortunate enough to be surrounded by conservation land and enjoyed the opportunities to indulge in learning about the local wildlife. Needless to say, Sara’s love for animals is second to none. Her compassion for animals, and the desire to make every pet’s stay as comfortable as possible, is the driving force behind her involvement in the pet care industry. In Sara’s care, you can bet that your pet will be spoiled! Sara is Pet Tech certified. Abby brings to KPR her affinity for animals and passion for care taking (yes, both pets AND people!). 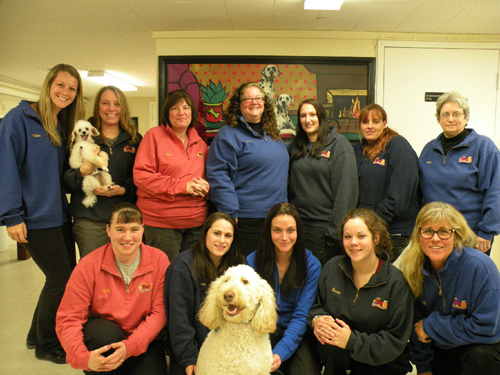 Prior to Abby joining us, she had previous experience working at both a child daycare, as well as a doggy daycare. If you ask her, she’ll tell you that there are more similarities than you’d think! Abby’s care taking doesn’t stop when she leaves work, as she goes home to a 3-dog pack of her own, one cat, her three sheep, and chickens. Her personal dog pack includes the most recent addition to the family, being a rescued Pointer named Nellie, a Catahoula mix, named Mable, and Stanley, the aussie/lab mix. Our nickname for her is “Happy Abby” as she’s easy to get a smile out of! Gina is the biggest fan of what she calls the “smushy” dogs! Basically, any of the bully breeds with the adorable “smushy” faces. The more they snort, the more she falls in love with them! Gina has 3 American bulldogs and one English bulldog of her own, so we can see why she is partial to the breeds. She is an advocate for dogs of all shapes, sizes, and breed specifics, working with Circle of Hope K9 Rescue to successfully re-home dogs in need. She is a mother of three, a firefighter, and an animal lover, among many other things.